The ConnectedCAM Citroën™ on New C3 means you can film spectacular scenery, unusual locations and cityscape. This new system uses a camera fitted behind the rear-view mirror to film what the driver sees through the car windscreen.  It provides a video log of your everyday driving experiences: - Just click to take a photo and share it on social media. The camera films and stores what’s happening in front of you, so it could also provide valuable information in the event of an accident. New CITROËN C3 comes in a wide range of body colours (nine) : Almond Green, Arctic White, Cobalt Blue, Shark Grey, Aluminium Grey, Ruby Red, Perla Nera Black, Power Orange and Soft Sand. These mix and match subtly or spectacularly with a choice of roof colours (three): Onyx Black, Aden Red, Opal White. And there are a total of 36 possible combinations in all. Something for everybody! ​You're able to customise New C3 in numerous ways : monotone or bi-tone? With or without Airbump®? Bright or muted interior? The choice seems almost limitless. This trendy interior ambience is a fashion statement, with upholstery featuring an elegant blend of fabric and leather-look. ​Seating in New Citroën C3 is eminently comfortable. You could almost be in your living room! And the dashboard design enhances the impression of space and width. The interior style has a decidedly non-automotive feel, with leather strap door handles and a tactile dashboard. The Citroen C3 has inherited the styling and funky looks of its crossover cousin the C4 Cactus, making it a more appealing prospect for young drivers who need more usable space than the brand’s offerings lower down the range. You’ll spot those airbumps on the side and signature lights from the Cactus, but it’s all round more compact and designed for negotiating city streets. With an economical engine, fun driving style and an attractive price, it’ll make a great option for drivers looking for something a bit different but easy to live with. The 110 PureTech engine in our test car gives a great combination of usable power and economy, with 108bhp and 205Nm of torque. It will achieve 51.4mpg around town, 70.6 on the motorways, giving a combined figure of 61.4mpg. Its 103g/km emissions will put it just outside the golden sub-100g/km for free road tax, but owners will still only have an affordable £20 annual payment, although that’s subject to change when the new road tax rules come into force in April. The C3 makes a fantastic companion for around-town driving, as you’d expect from a car in this segment. With a tight turning circle and light kerb weight the C3 is ideal for manoeuvring around city streets. However, paired with the PureTech 110 engine, it also makes a compelling case for itself on motorways too. In this combination, and with a manual gearbox, the C3 has reasonable pace to keep up with most cars and will help the miles fly by. The only time it feels a bit unsteady is on country roads. Here the light steering of the C3 isn’t quite as direct as you’d like to complete a winding stretch with ease. Compared with the previous generation, the looks of the C3 have been seriously updated. It’s been given a futuristic appearance with stylised lights, wheels and black bumpers. An attractive addition that PSA has tapped into with sister brand DS is customisation options, and on the C3 there are now 36 colours to choose from. The Citroen badge might not have the appeal of some of its rivals, but the transformation achieved with this car is sure to turn heads. Inside, Citroen has kept the C3’s interior practical and usable with textile fabrics and a clearly laid-out interior. Space in the C3 is limited but reasonable. The doors open wide to give you great access to both the front and the rear seats, and once you’re inside you’ll find the space is well laid out too. The rear seats aren’t really designed for three adults but at a squeeze they can fit in. Boot space is also fairly reasonable, and for a weekend away you can easily pack two small suitcases. Our C3 Flair test car has an attractive starting price of £16,285 and the range of options only add around £1,500 to the total. It was kitted out with the stunning Orange Power paint and Opal White roof, costing £495, the diamond-cut ‘Cross’ alloys are £200, while blind spot monitoring is only £100. The seven-inch touchscreen is a slightly pricier option at £500 but gives you easy connectivity to your phone for calls or music and sat nav. Finally, keyless entry and start was also added to our car for £250, which is not a necessity but it’s a great feature that makes life easier. Citroen is targeting young drivers and young families with this five-seater, five-door hatchback, and it’s sure to attract them with its interesting looks, easy accessibility and an attractive price point. It’s ideal for families with young children or those who haven’t been driving for long, as it offers a comfortable drive. *Finance offers apply to qualifying new vehicles ordered and delivered between 01/04-30/06/19. Offers available to qualifying retail customers excluding PSA UK Finance UK Contract Hire. 3 years’ 0% APR Conditional Sale with 10% deposit available on C3 (excluding Touch), C3 Aircross SUV (excluding Touch), New C5 Aircross SUV, New Berlingo, C4 Cactus Hatch, C4 SpaceTourer and Grand C4 SpaceTourer. 4 years’ 0% APR Conditional Sale with minimum 20% deposit available on C3 (excluding Touch), C3 Aircross SUV (excluding Touch), New C5 Aircross SUV, New Berlingo, C4 Cactus Hatch, C4 SpaceTourer and Grand C4 SpaceTourer. 3 years’ Elect 3 0% APR available on C1 Flair and Flair Edition and C4 Cactus Hatch. 4 years’ Elect 3 0% APR available on C3 (excluding Touch) and C4 Cactus Hatch. 3 years’ Low Cost Elect 3 2.9% APR available on C1 (excluding Flair and Flair Edition). Finance offers apply to UK Mainland only. All Citroën Elect 3 products quoted with compulsory Citroën Assistance. Finance subject to status. Guarantees may be required. Over 18s only. Elect 3 examples based on 6,000 miles per annum. Excess mileage charges will apply if you exceed the agreed annual mileage. Written quotations available on request from PSA Finance UK Ltd, RH1 1QA. Citroen UK Ltd is acting as a credit broker and is not a lender. Swansway Garages Ltd is acting as a credit broker and is not a lender.